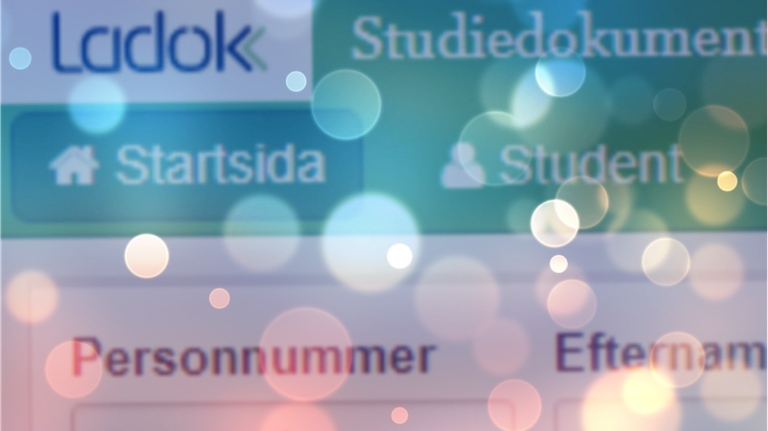 Idag var det officiellt boksläpp för Digitaliseringen och arbetsmiljön, en bok som professor emeritus Bengt Sandblad författat tillsammans med sina kollegor. Medförfattare är Jan Gulliksen, Ann Lantz, Åke Walldius och Carl Åborg – alla kända namn inom just digitalisering och arbetsmiljö. Bokens redaktör Jens Fredholm passade på att ställa lite frågor till författarna. Bengt Sandblad slog fast att de flesta problem är onödiga idag, kunskap finns om hur de ska lösas. Åke Walldius fyllde i med att verktygen ska stödja, inte störa men att samverkan mellan alla parter är viktigt. Ann Lantz pekade på ständiga förbättringar som en viktig strategi. Carl Åborg underströk att vi måste sträva mot ett hållbart arbetsliv, det är inte hållbart om en ökande mental belastning ska göra att människor blir sjukskrivna. Jan Guliksen avrundade med att peka på att läget ändå är annorlunda idag, ledningen brukar vilja ta ett ansvar och det finns många fantastiska digitala verktyg vi använder utan problem. På en fråga från publiken hur man nu ska komma till rätta med alla dessa problem var svaret givet: läs boken. In retrospect, 2018 was a great year for our research group. So, as we move on to 2019, here are some of the hilights for this year. The year began with Thomas Lind doing one of his first –but definitely not last– presentations as a PhD, on the topic of IT implementations in health care. Just after that, the new course on Complex IT Systems in Large Organizations started, with Diane Golay as one of the teachers. In the field of education there were of course also a number of interesting master thesis (such as this, this, this and this). The second quarter saw Åsa Cajander earn the title excellent teacher but more importantly she also became full professor. You can still view her inauguration speech here (in Swedish). As if that was not enough Bengt Sandblad’s new book on the digital work environment was published – and our colleague Rebecca had her half time seminar. During the summer Shweta Premanandan visited us once again and she got to experience the Swedish midsummer festivities. Minna Salminen Karlsson escaped the same festivities and instead joined the OAP workshop in the Netherlands. Of course there were a number of other conferences and events attended by members of the HTO group (here or there). Gunilla Myreteg enjoyed a workshop arranged by Birgitta Wallgren at EPJ (the department for Electronic Patient Records). The HTO group also was responsible for a workshop at Uppsala Health Summit on the topic of Using Data for Better Cancer Treatments. Much of the research efforts were related to the DISA project. Among many other things Ida Löscher reflected on the use of Work Domain Analysis and Lars Oestreicher shared some observations on cognitive workspace design. We celebrated Jonas Moll as he concluded his PostDoc in Uppsala, two years and quite a few presentations and papers later. The year finally ended in high spirits when Christiane defended her thesis and became Dr Grünloh. So, what do we have in store for 2019? More courses, more papers and more conferences of course. Perhaps we could also land a grant or two, to fill the gaps of those who have moved on to new positions. But we will no doubt continue to collaborate with our HTO alumni, in academia you can check out—but you can never leave. 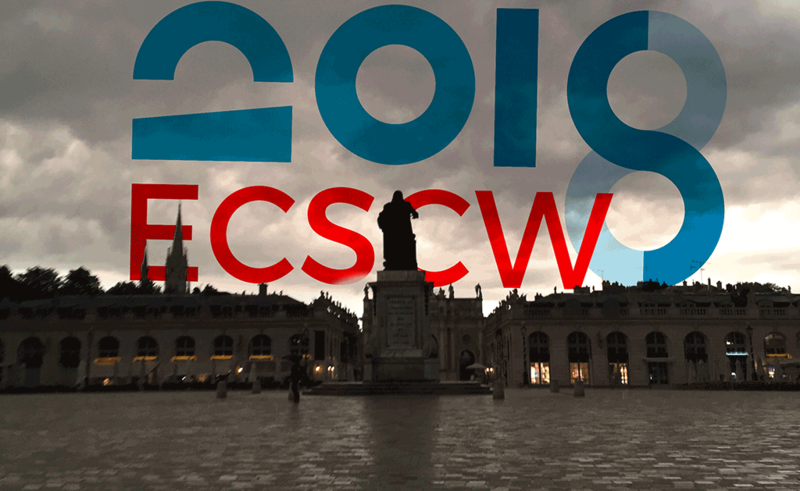 ECSCW–the Rise of the Machines? The initial keynote by Antonio Casilli on the micro work behind AI was worth the trip alone. It was a great presentation on a very important topic. Indeed, this dispelling of the myth of AI was a theme that came up in a number of talks, not least in relation to the promises of automation in Industry 4.0. I also had the opportunity in one of the breaks to listen to Edgar Daylight’s historical perspective on this–AI being notoriously famous for recurring hypes. The presentations covered a wide range of topics, from the Tatbeer ritual (Majdah Alshehri) over socio-technical heuristics (Alexander Nolte) to digital sticky notes (Sarah-Kristin Thiel) but somehow it all fitted together. I guess part of this can be explained by some of the traditions of the ECSCW community. Here, Stuart Geiger’s presentation of documentation work was a fine example of the ever present ethnographic perspective. The humanistic values were evident in Renwen Zhang’s talk on online support groups for depression in China as well as in Isaac Holeman’s plea for Silence. There were quite a few presentations that were more directly relevant for my own work, including Luigina Colfini on work-life balance, Nina Boulus-Rødje on supporting knowledge workers and Pernille Bjørn on variations in oncology consultations. I also found Yuri Lima’s poster on a tool for assessment of disruptive ICT in the workplace very promising. In their study on collaborative design projects in school contexts Netta Iivari and her colleagues used service research as a theoretical lense, a theory I have been considering using myself. However, the conference had a special focus on computer support for qualified industrial work—Industry 4.0/the industrial internet of things—and the challenges were well summarised by Thomas Ludwig from Siegen. The Siegen crowd was as always strong in quality as well as in quantity. There is a lot of interesting research going on there that seems to touch on many of the same topics we are studying, although in an industrial setting. As proven by the panel discussion, similar studies are of course taking place in other countries as well, examples were given from Austria and France. 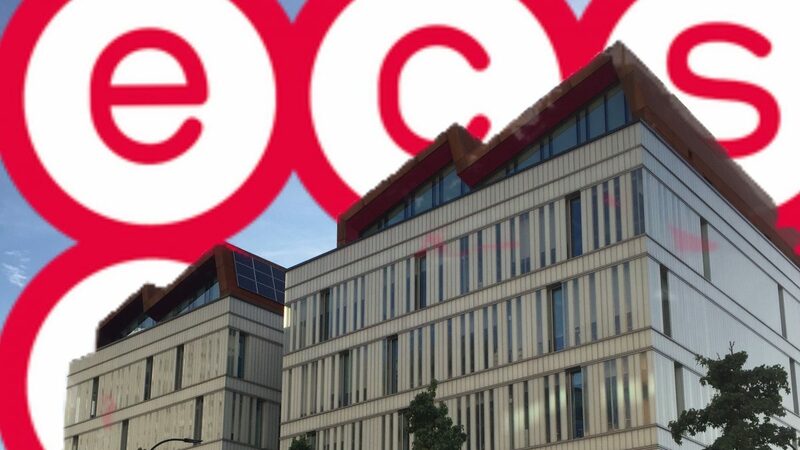 Speaking of Austria, ECSCW 2019 will take place in Salzburg and we got a glimpse of the venu and the playful new facilities that Verena Fuchsberger and her colleagues are enjoying. *A formal note: I refer just to the presenter here, in most cases there were co-authors, see the Eusset proceedings for full information. Author Gerolf NauwerckPosted on June 11, 2018 April 13, 2019 Categories DISATags ECSCW 2018Leave a comment on ECSCW–the Rise of the Machines? On Friday the 19th of January we have the pleasure of starting the day with two open seminars, so if you wish you can join us. From Reykjavik University we have Associate Professor Marta Lárusdóttir and from Copenhagen Business School professor Torkil Clemmensen. Torkil Clemenssen will talk about the socio-Technical Future of HCI and Marta Lárusdóttir will discuss research on the integration of UCD in industry. The seminars will start at 10.00 in the Faculty Room at Ångström laboratory. 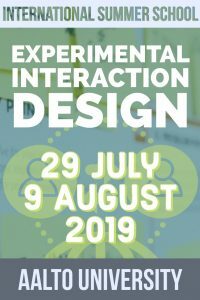 Marta will give a talk on the interplay between usability activities and agile software development processes used in the IT industry. Marta has conducted research on this topic for many years collaborating with international researchers and students. Marta will give a summary of the results of these studies and describe future work on this important topic. Marta Larusdottir is an Associate Professor at Reykjavik University with a PhD in Human-computer interaction. Marta has extensive leading knowledge in the area of evaluation and user feedback in software development. Particularly, she is a well known researcher in agile software development and how the user perspective is integrated in agile processes and has written several papers and arranged workshops on that subject. This presentation will be followed directly by the presentation by professor Torkil Clemmensen. Human-Computer Interaction (HCI) builds on the ideology of empowering the end-users of computers, so that they understand what is happening and can control the outcome (Nielsen, 2005). How does that work for HCI in organizations and societies? While HCI historically has been based on applying cognitive psychology to understand the individual user (Card, Moran, & Newell, 1983), one strong trend in modern and contemporary HCI is to study applications in business, managerial, organizational, and cultural contexts. To design HCI for organizations, the big thing may be to do some kind of HCI design action research that constructs or modifies one or more HCI artefacts within their existing organizational contexts: sketches, prototypes, templates, running systems – anything that changes the interactions that managers and employees do and experience. Hence, the future topics and theory of HCI may indeed be socio-technical. Torkil Clemmensen is a professor at the Department of Digitalization, Copenhagen Business School, Denmark. His research interest is in psychology as a science of design with a focus on cultural psychological perspectives on usability, user experience, and digitalization of work. He contributes to Human-Computer Interaction, Design, and Information Systems. Torkil Clemmensen will also lead the discussion in the afternoon when we have the half time seminar for yours truly. Sweden is “lagging ahead” when it comes to the digital transformation of public organisations. This was the opening message from Expertgruppen för digitala investeringar at a seminar on Agile Transformation. According to recent statistics Sweden is not a leader in the field, something the Swedish Government wishes to change. While we wait for a new authority for Digitalization a special committee has been formed to support public organisations in the transformation. Much of this is done behind the scenes, but there are also open dissemination of best practices. Today’s event was one such occasion. Anna Eriksson from Lantmäteriet, The Swedish Mapping, Cadastral and Land Registration Authority (I didn’t know that) talked about how the authority were transforming their IT-organisation to embrace agile practices. This was very much done via leading by example. The change project itself was run in the spirit of agile, early adopters were allowed to experiment and yearly hackatons encouraged mixed teams with both IT-developers and business people. Martin Johansson, CIO at SEB and member of the committe, shared SEB:s long and ongoing digital transformation. Martin’s take home message can be summarized as agile takes time. Working in a large organization with legacy systems as well an established organizational culture agile does not happen overnight. One factor contributing to this was the fact that SEB.s project portfolio contained so many running waterfall projects. These had to be finished before the agile transformation could start to deliver. The dinosaurs had to go, as he said. There were many interesting points in Martins account but one important one was the need to unite the business side and the IT side of the organization. While SEB certainly transformed their IT structure, the importance of this collaboration was emphasized a number of times in his presentation. Judging from our own research experience that seems to be true for a number of other organisations as well. Why this urgency for going agile? Well, as Anders Nyström–who moderated the seminar–said, the strategic projects are in general to slow for politics. With an average length of 30+ months it is difficult to see the effects of political initiatives. Perhaps even more importantly, both Anna Eriksson and Martin Johansson represent large, well established organisations, nevertheless the disruptions on the market calls for agile responses. Otherwise they might turn out to be the dinosaurs. The only thing I missed was the opportunity to ask a second question. I would have been really interested to learn more about their view on the user. Arbetsmiljölagen fyller 40 år i år. Det firas den 28 november med en halvdagskonferens på temat digital arbetsmiljö och “40-åring i behov av ett digitalt uppvaknande”, för att citera inbjudan. Konferensen har tre teman: det flexibla arbetslivet, inflytande, uppföljning och övervakning samt hot och trakasserier. Gerolf Nauwerck från HTO kommer att vara en av presentatörerna. Badly implemented IT is a costly affair. According to reports from Unionen (a Swedish union), there are tens of millions of Euro to be saved, in Sweden alone. Many problems are also well known and there are ways to address them. Yet knowledge about both problems and solutions is limited. One actor trying to spread best practices is the Swedish health promoting agency Prevent (jointly owned and managed by the employer and employee organisations). Prevent recently teamed up with a number of Swedish researchers in this field, including our own professor Bengt Sandblad to develop a solution to this. The solution (also mentioned in an earlier blog post here) is an online guide covering a number of stages and aspects relating to ICT requirements, development and implementation. 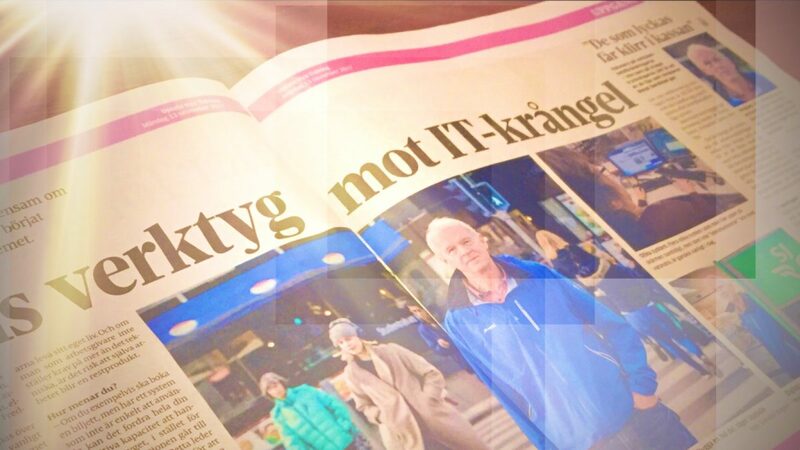 The guide was featured in local newspaper Uppsala Nya Tidning (here and here) and the coverage indicates that there is an increasing awareness and understanding of the issues. One presentation in the health promotion track–by Frida Fossland and Sara Leijonqvist–related to work life balance. Frida Fossland’s message was that we need to be observant of the more subtle aspects of flexible work. Sure, hyper connectivity 24/7 can be a striking aspect, but flexible work also creates tensions between employer and employee that needs to be taken care of–as traditional modes of management by walking around no longer apply. To support this, Prevent (a Swedish health promoting agency) has developed Balansguiden (“The Work Life Balance Guide”). This is an online tool supporting both the employer and the employee with the ultimate goal of facilitating discussions in the workplace relating to policies and strategies for flexible work. It is quite an impressive product and it actually was awarded first prize at the International Media Festival for Prevention in 2017. One of the main sessions was a joint presentation on the topic of digitalization and the work environment. Sweden’s digitalization champion Jan Gulliksen introduced the topic with an emphasis on the societal aspects of the digital transformation, though with many examples from everyday work. He also promoted a book on the subject that will be released just before Christmas, a book where our colleague Bengt Sandblad is one of the co-authors. This was followed by a presentation by Jonas Söderström, Sweden’s usability guru. He is the author of the book Jävla Skitsystem (Stupid **** system!) and is a key figure in establishing public awareness around the topic. He did a great presentation and the figures really brought home the message. Finally, Anna Pramborg from Sunt Arbetsliv ended the session with a preview of a new framework–aimed at municipalities and counties–also related to improving the digital work environment. The main event at this session was nevertheless the presentation by Fredrik Beskow of the new online tool Inför rätt IT (“Do IT right”) from Prevent, aimed at supporting organisations during digital transformation. This tool in many ways represents Swedish state of the art in this respect, as the team behind it included among others aforementioned Jonas Söderström as well as our own Bengt Sandblad. Fredrik Beskow did stress that this was the first version and that the team were hoping to get lots of feedback so that the tool could be developed furher. The day ended with a brilliant piece of entertainment. Stand up comedian Måns Möller and stress researcher Dan Hansson (an Uppsala University alumni) successfully combined humor and science in their show Öka livet! (“More life!”). And yes, it was in this show that the singing mice were introduced. It turns out that mice actually court by singing and we got the opportunity to listen to a smal serenade. During the master classes David Randall shared his rich experiences and insights on qualitative methods and writing for publication and Kjeld Schmidt explored some central concepts literally starting with the old greeks. The main event for me and nine fellow PhD students was of course the full day Doctoral Colloquium, wonderfully chaired by Geraldine Fitzpatrick and her on-site colleagues Jacki O’Neill, Michael Muller and Nervo Verdezoto. Jesper Kjeldskov provided av real life example of CSCW as he had to join via Skype–a virtual tour de force. I enjoyed the keynote by famous philosopher Gloria Origgi on reputation and reputation management. On this followed a number of presentations of which I will only hilight the ones that more directly touched upon my interests (see the conference site for a full debrief). Manisha Patel presented a paper on deference to smart devices in hospitals and how it relates to authority–something I think could be relevant to our Disa Project. Michael Muller and Yuko Okubo each presented exploratory papers that related to office work and automation. Minha Lee introduced a moral perspective in her talk on bots as intermediaries in online communication. The first panel session was a real treat. The topic was Changing Workplaces and Technology and had the discussion continued any longer, I would have had my thesis finished there and then. Now, I got a lot of valuable input instead, for which I’m really grateful. I had to leave on the second day but managed to catch the second panel, on designer’ intentions. This of course struck a chord with by background in aesthetics, where intention in a central concept. Noteworthy was of course Michael Mullers insights directly from the belly of the beast, as he so nicely put it. There were also presentations related to local development on various levels (which struck a chord with the human geographer in me). Jakita Thomas’ talk on African-American middle school girls designing games for social change made me think this might perhaps be something for my department to look into. Sebastian Weise applied institutional theory with some interesting results and Gaia Mosconi gave an great introduction to the Social Street and hybrid community engagement. I’ll just have to read up on all the interesting stuff I missed out on. One thing I learnt though, is that there are ethnos walking the earth here and now, and if you can’t beat them you might as well join them. Hopefully I’ll see them again in Nancy next year – although I just missed the first deadline.